Is Your Warehouse Management System Functioning to its Highest Capacity? - Standard Distribution Co.
Is Your Warehouse Management System Functioning to its Highest Capacity? Today’s available technology has helped many industry to reach heights that would have never before been possible. However, one major drawback to technology is its constant need to be updated and replaced with even newer and better functioning technology. This upgrade process typically results in hefty price tags and some transitional confusion, but it may be worth the hassle if your current warehouse management system (WMS) is not performing at a reasonable capacity. Poor Warehouse Design: Does the layout of your warehouse make sense? Inefficiencies in this regard may seem small at first, but over time these tiny issues combine to equal a massive problem. Simple organizational efforts can vastly improve the capabilities and functionality of a warehouse. If you are not utilizing a warehouse design that promotes absolute efficiency then you are sadly wasting both time and money. 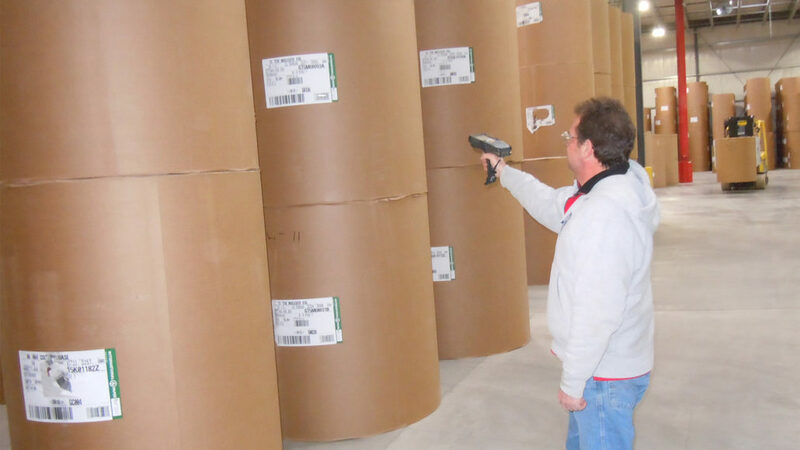 Outdated or Ineffective Tracking Systems: Once again, we see the complications that technology can cause within a warehouse when it is not able to keep up with current standards in the industry. When evaluating your warehouse’s tracking capabilities, it is good to establish a baseline of performance. In this case, if your WMS does not allow for use of scanners, auto ID data capture, or radio-frequency identification, you may be in serious need of an upgrade. User Friendly Interface: A high-tech warehouse management system does little if it cannot be used effectively. Not only does your WMS need to meet the needs of your warehouse, but it also needs to meet the needs of your warehouse staff. It can be incredibly frustrating to have a wealth of knowledge and expertise at your fingertips but no way to understand or use it. Much of this issue can be solved either by choosing a WMS with a less complicated design or taking the time to extensively train warehouse personnel on the use of more complex programs. Contact Standard Distribution Co. For All of Your Warehousing Needs! For more than 80 years this company has remained committed to the satisfaction and success of our customers. With more than 800,000 square feet of USDA and FDA approved warehousing space that is centrally located in the Midwest, Standard Distribution Co. has everything you need to store your products in ideal conditions. Our staff possesses the industry knowledge and expertise required to handle a wide range of commodities such as food grade, industrial, agricultural, and general merchandise goods. To contact a Standard Distribution warehousing professional, please give us a call anytime at 319-277-9299. You can also contact us online by clicking here. Thank you, and we look forward to meeting your warehousing needs soon! https://www.standarddist.com/wp-content/uploads/2018/03/Warehouse-Management.jpg 1125 2000 admin https://www.standarddist.com/wp-content/uploads/2017/10/Standard-Distribution-Co.-300x99.jpg admin2018-04-04 15:01:002018-04-04 15:01:00Is Your Warehouse Management System Functioning to its Highest Capacity? © Copyright 2019 - Standard Distribution Co.